Discussion in 'Pin Trading Gatherings' started by docfish2u, Jan 14, 2018. Kiragigi, momin.ator, CanaDaLE and 2 others like this. AshleyV and MerlinEmrys like this. CanaDaLE and MerlinEmrys like this. We should do a roll call to see who's going so we can set up some trades before hand. Maybe start a pre trade thread. pincrazy, TheMickeyMouseRules, AshleyV and 1 other person like this. watzshakinbacon, TheMickeyMouseRules and AshleyV like this. Looking forward to attending this PTE, along with at least three other locals who are either not members of this forum or are no longer at all active on this forum. A great show that they cancelled too soon! Just bought airfare and a hotel room... can't wait! That's fair, but I think you missed my point: I don't think you need to have a trade arranged to FaceTime and be part of the fun. You're part of the family; I think I speak for David, Amy, and everyone else when I say they would want you to FaceTime and join in the party fun whether or not you have a proxy trade arranged. I think for David's parties, it's about the friendship/company first and pin trading second. I've gone to his parties (gasp) without bringing a single pin before because my focus was on seeing friends, not trading - and nobody had a single problem with it (at least, none of which I'm aware). Very well said, it is about the pin family. By all means set up a facetime. One month from tomorrow. That means if you are new to the events and want a name button please contact me so I can make you one. Heck yeah! Super stoked to go for the first time. I'll message you later about a name button. pretty Omi and timeerkat like this. I think I’ll be able to attend as well. Obviously a porg. It's #1 for a reason! You heard him, Omi. Three porgs it is! 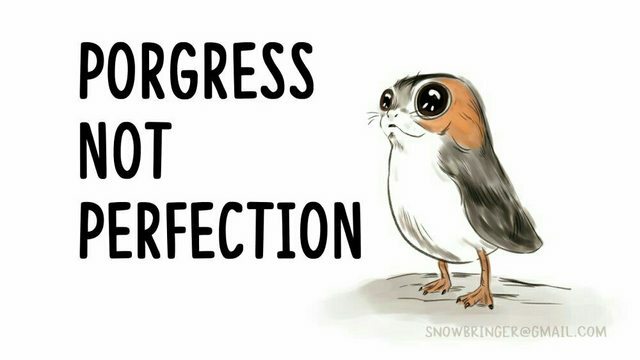 A Porg... I do really like the open mouth one. Is a second choice allowed? Okay, thanks... Loki is my second choice. AshleyV, MerlinEmrys and watzshakinbacon like this.